The Loire Valley is home to world famous châteaux, beautiful gardens and is also synonymous with first class vineyards. Located in the central area of France, just south and west of Paris, it has also served as an inspiration for painters, including Turner and Leonardo da Vinci. On this self-guided walking tour you’ll discover an area which has been designated a UNESCO Cultural Landscape World Heritage Site. Specifically you will be exploring the Touraine region between Blois and Tours and on your scenic walks you can admire this unique landscape. Begin in the sleepy Renaissance village of Chenonceaux, located on the banks of the Cher River. The beautiful chateau here reveals a taste of the many historic castles to come during your walking adventure. 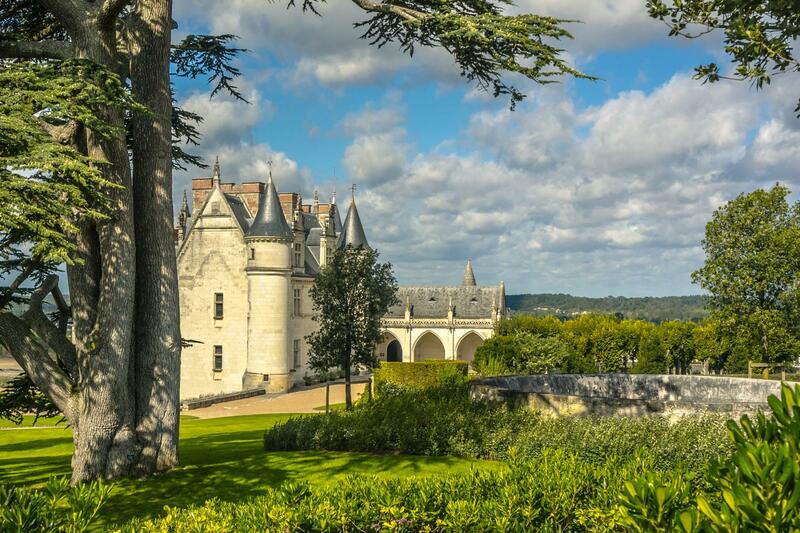 From Chenonceaux you’ll reach Amboise and criss-cross your way through tufa hillsides. “Tuffeau” is the soft limestone which makes up the banks of the Loire River and all the castles you will see are built from this rock, hence their soft creamy colour. Vouvray is a village particularly famous for its wine, so during your two-night stay here you can be sure of finding a restaurant or cellar to visit for a delicious glass or two. 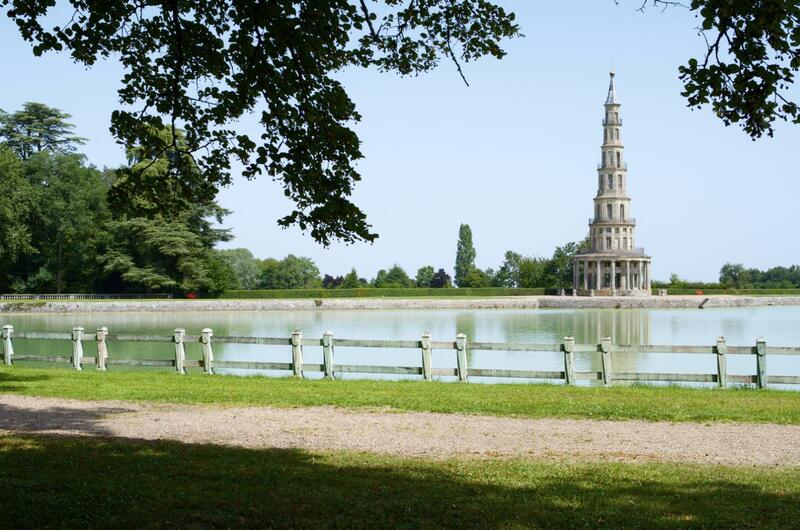 Around Vouvray there are plenty of sightseeing opportunities, and an array of walking trails to follow, whether you’re up for a stroll or a longer-distance hike. The sleepy Renaissance village of Chenonceaux located on the banks of the Cher River, boasts the world-renowned royal chateau. 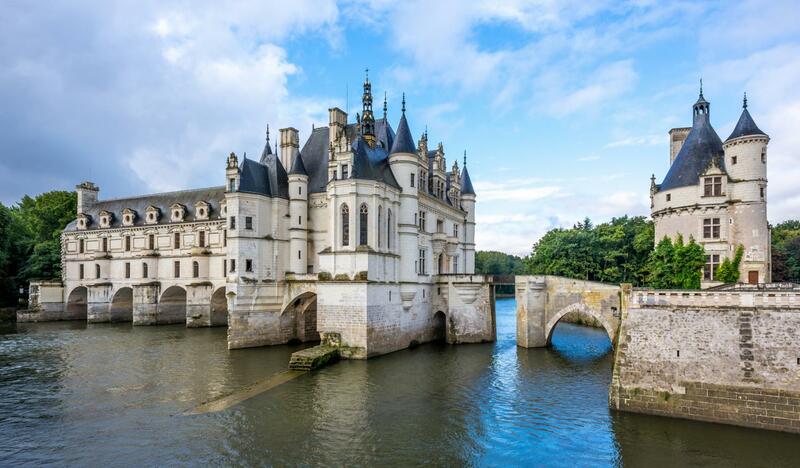 Chenonceau Castle is an impressive sight built over the river and boasting two gardens, one for each of the historic adversaries of Dianne de Poitiers and Catherine de Medici. Take a pretty stroll along the river to stretch your legs. This quaint B&B is located in the centre of Chenonceaux and surrounded by lovely gardens. It has three charming rooms and the breakfasts are delicious consisting of a choice of breads, freshly-squeezed orange juice, cheeses, yoghurts, homemade jams and locally-produced honey. Today you begin your walk by taking a trail through local vineyards and gently sloping wooded hillsides of beechwood, oak and hornbeam. 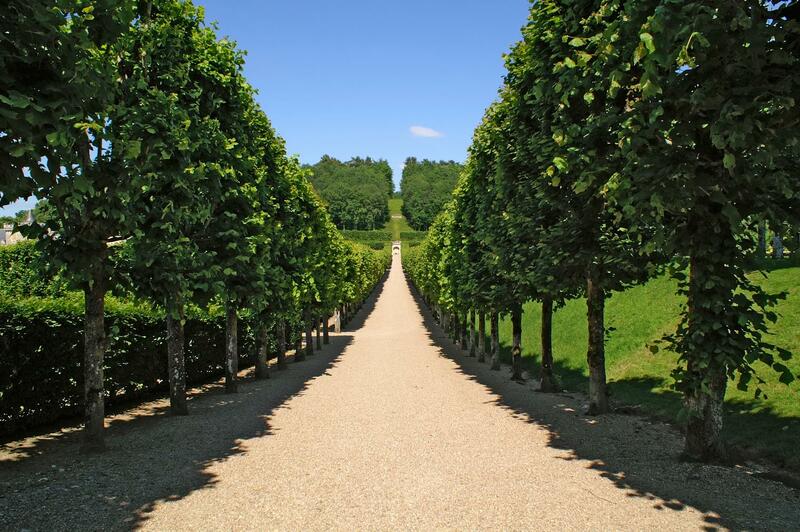 Once you have taken your walk it is well worth setting aside some time to visit Chenonceau Chateau and Gardens. This beautiful castle is second only to Versailles as the most visited chateau in France. Make sure you view the Florentine galleries and Flemish tapestries that are on view. This evening have a stroll through the town and perhaps sample a delicious local white wine, such as Sancerre, in a local restaurant. After a delicious breakfast you’ll walk the picturesque banks of the River Cher to Dierre, where yellow markers reveal a beautiful nature trail through the Royal Forest of Amboise. The trail also heads to the Pagoda of Cantaloupe and on to the bustling historic Royal town of Amboise on the banks of the Loire. If you do not wish to walk the whole route today you can catch a ride part way with the luggage transfer company to shorten the walk. This exceptional B&B will welcome you with open arms as the owners are very kind and helpful. The courtyard is an oasis and the rooms nicely decorated. 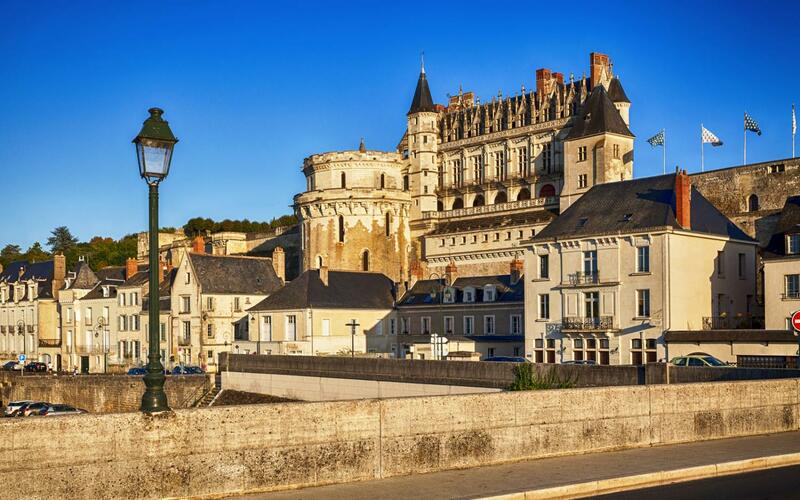 A second night in Amboise allows more time to explore the town and surrounding countryside. The Royal Château of Amboise and its landscaped gardens offer one of the most remarkable panoramas of the Loire Valley. 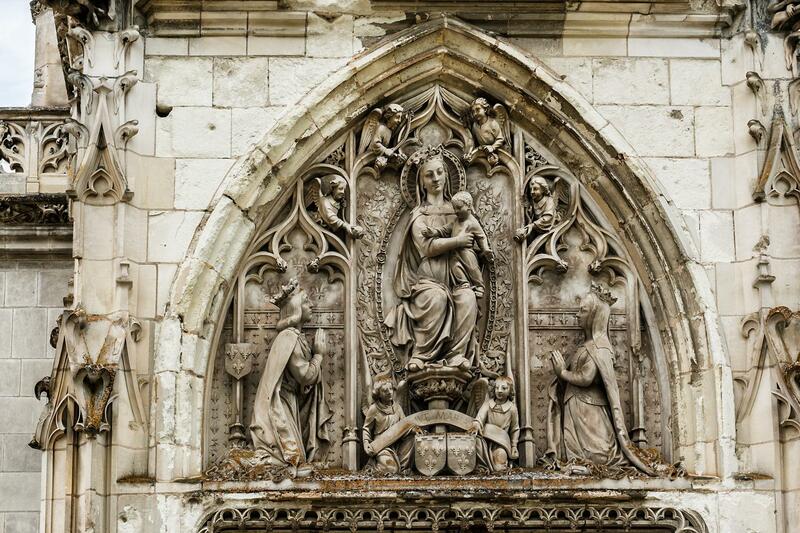 St Hubert Chapel, the “Jewel of Amboise”, is the burial place of Leonardo da Vinci. 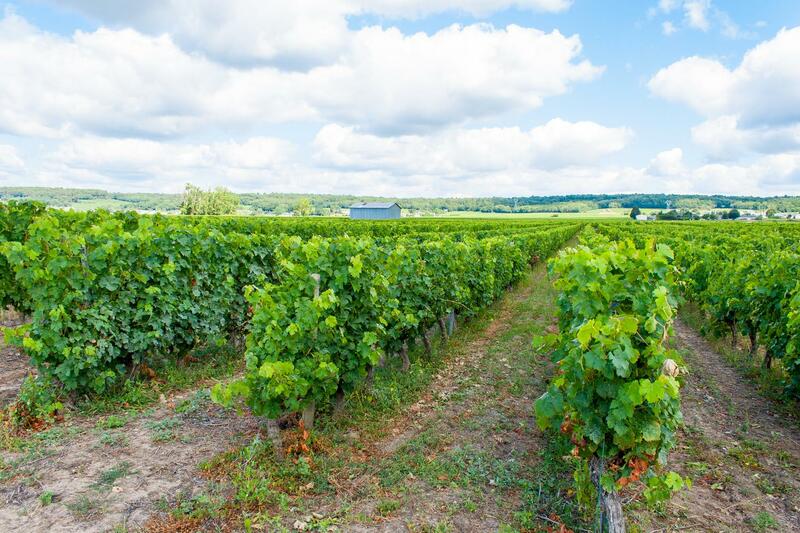 Today you can explore a wine village trail by criss-crossing the tufa hillsides through the vineyards of the Ramberge Valley to the north of the Loire River. The GR3 Loire foot trail follows the natural course of the river for 1,250kms, from its source at Mont Gerbier-de-Jonc to its mouth at La Baule. Today’s walking joins this delightful route and takes you towards troglodytic Montlouis-sur- Loire. With its medieval church and world famous Pineau and white wines, this makes a great stop for lunch. The route then heads across the river and follows the north bank to the famous wine village of Vouvray and its many caves. This B&B is located in a traditional Touraine-style house from the 18th century and has been completely restored. All the guestrooms are individually decorated and comfortably furnished and the breakfast is served in an original troglodyte cave! Today there are several enticing walk routes to choose from. One of these splendid walks takes you onto a plateau with open fields of cereal crops and passing several castles and La Caillerie which is where the French writer Honore de Balzac wrote his novels. 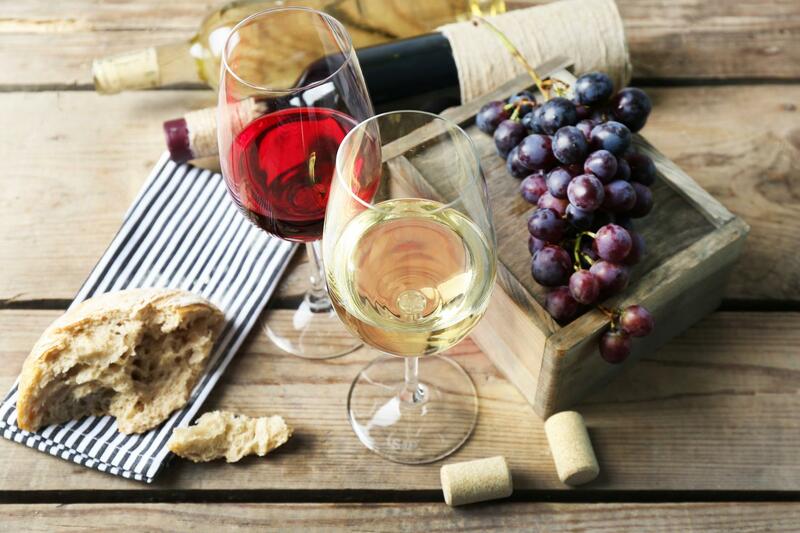 Today there are many opportunities to stop and visit one of the cellars for a wine tasting. Many of the cellars are carved into the tuffeau cliffs. After breakfast, you’ll depart, hopefully armed with a few bottles of wine to take home. Take a local bus or taxi to Tours Train Station. You can opt to spend extra nights in either Tours or Paris if you wish. The standard accommodations on this tour are charming B&B’s, small hotels or guesthouses. If you require single rooms within your party we would be happy to accommodate you although there is a single room supplement payable. This trip is available to solo walkers, although there is an additional supplement to cover the extra costs that are not shared. You can add additional nights at any point along the walk or in Tours or Paris. A delicious breakfast is included each morning. Lunch and dinner are not included. Most accommodations are happy to provide a packed lunch, but you will need to request this in advance. Alternately you can pick up lunch along the trail. Dinner is available at nearby bars, cafes and restaurants. We would encourage you to travel within May-July and September- October when the temperatures are pleasant for walking. If you require single rooms within your party we would be happy to accommodate you although there is a single room supplement payable. Solo walkers are also welcome for an additional charge. This walking tour is graded easy to moderate. All trails are easy walking with minimal gradients on well made up dirt tracks, forest paths, grass, and gravelled and tarmac country lanes. The way marked paths are specifically selected for their richness of architecture and landscape, accessibility, clear way-markers and services. All your belongings will be transferred between accommodations. We do ask you keep your baggage to one bag per person (maximum weight 15kg). alternative accommodation will be of the same or better standard than those described. The distances and ascents/decents are approximations of the recommended routes. Please be prepared by packing all nessersary items, for example. proper rain gear, sun hat, sunscreen. Your information pack has detailed advice and a kit list on what to take. This includes good waterproof gear, walking shoes/boots, and lots of other useful bits and bobs. By Air: Tours is the closest airport to Chenonceaux (27km) and is served by Ryanair and Flybe from the UK. Tours airport is connected to the centre of Tours (8km) by local bus. Fares and timetables can viewed at Filbleu Take the bus to Tours train station and then a train to Chenoncea (25 minutes). Timetables and fares can be viewed at Rail Europe (trains do not operate on Sundays). Rail Europe is a good option for timetables and booking. By Air: Tours is the closest airport to Chenonceaux (27km) and is served by Ryanair and Flybe from the UK. Tours Airport is connected to the centre of Tours by local bus. Fares and timetables can viewed at Filbleu. Take the bus to Tours Train Station and then a train to Chenonceaux. Timetables and fares can be viewed at Rail Europe (trains do not operate on Sundays). We are often asked the following questions and I hope that you will find the answers useful. Please do not hesitate to contact us if you have any other questions or for more advice from our team. 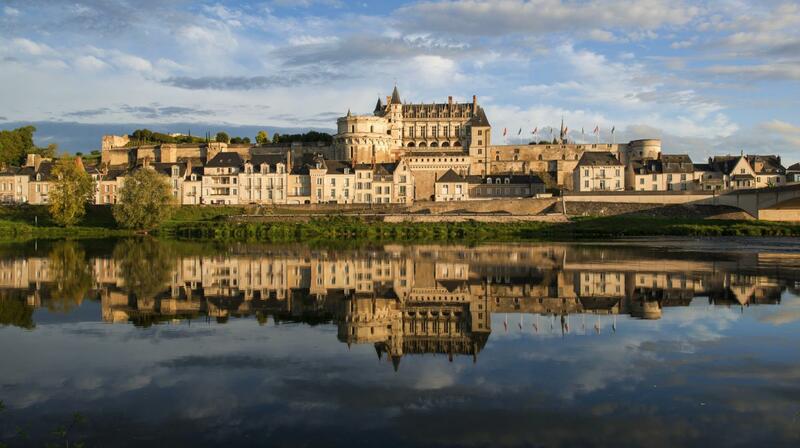 We suggest you book as soon as your plans are finalised as the Loire is extremely popular during May/June/July/August. You will find up to date availability on our website. Our pre-departure information pack has detailed advice and a kit list on what to take. This includes good waterproof gear, walking shoes/boots, and lots of other useful bits and bobs. Spring,early summer and autumn are generally best as the Loire Valley is both busy and hot in mid summer. we will always try and accommodate your plans so just ask. Which is the best airport? Tours is the closest airport to Chenonceaux (27km) and is served by Ryanair and Flybe from the UK, or Paris Charles de Gaulle for international arrivals. Tours airport is connected to the centre of Tours (8km) by local bus and from Paris you can connect to Tours by train TGV (1HR). What happens if I cant walk a stage? My husband and I, fit and healthy and in our 60s, found the Loire Valley Walk easy and fulfilling. Mac Adventure sent us all the documentation well in advance, and were in phone contact should we need it, as we did on the first day of a Loop Walk. We found the longer walks between towns well mapped and easy to follow, but the shorter Loop Walks not so. We realised that on the Loop Walks we were never far from the towns, so we weren't likely to get lost, but it was disconcerting on the first one, which was when we telephoned the office for help. Between Chenonceaux and Amboise, and again from Amboise to Vouvray, we hitched a ride half-way with the driver of our bags. It was worthwhile as the first halves of those walks were through villages and along roads, where the second halves were through forests - more to our taste. We would certainly undertake another Mac Adventure Walk, and recommend the company to friends. Only negative feedback, maps could have provided more detail. The accommodation was all good. Le ClosMony with Patricia was outstanding, she was hospitable, a great cook, friendly and could not do enough to make our stay memorable. The walk around Chenonceaux a pleasant easy start that needs new markings. Chenonceaux chateau outstanding. The walk to Amboise very straightforward and pleasant. Amboise had so much to see and explore. The walk around Vouvray well marked and an enjoyable finish to a pleasant scenic walk. All of the accommodation and hosts were excellent, spacious, well located, generous breakfasts and facilities to prepare your own evening meals. We really appreciated having proper ordinance survey maps and not the photoreduced small sections of the original maps that some companies provide. All three hostesses of our three B&Bs were charming and went out of their way to be helpful. We decided to combine our love of walking together with our love of France this year. The landscape and environment delighted us, and although the weather was just too hot for comfort at times (38 degrees) we had a lovely time. The three landladies, Patricia, Evelyne and Corrine, were artistic, warm-hearted and wecloming and Evelyne in particular was incredibly kind and considerate when I was ill one day. Corrin'es troglodytic house boasted a grand piano as well as a cave, where we breakfasted, and all three ladies were brilliant home bakers. Sarah, the local Macs rep, was helpful when we got locked out, and all in all we felt cossetted but not condescended to, as befits adventurers. Thank you. We'll be back. My wife and I spent 6 days walking through the Loire Valley on our Macs Adventure tour, and we can't wait to take our next walking tour with them! Our trip was barely marred by the worst flooding France had experienced in 35 years (though I do recommend a couple of things - including excellent rain gear, and maybe a ziplock bag to keep your map in). We were truly impressed and delighted by each of our accommodations. We experienced three very different kinds of bed and breakfasts, and each one exceeded our expectations. The innkeepers were very friendly (one even gave us a ride to the train station when our taxi forgot about us! ), the food was wonderful, the rooms were spacious and very comfortable. One of our favorite things was that each town (we visited three) offered a different experience of the French countryside. Chenonceaux was small and quite rural, Amboise was much larger comparatively, with a lively tourist area, and Vouvray was somewhere between them, and clearly a wine town with much to do for wine tourists like us! Getting to experience the different feelings and attractions in each town was a lot of fun, and really made us feel like we were getting a special experience. Finally, I want to mention the one thing that went wrong (flooding aside) with our trip, only because I was so impressed and pleased with the way it was handled. Due to a last-minute overbooking, our lodging at one point was moved, and because of the confusion, we ended up (for about half an hour) without a place to stay for the night. However, both of the innkeepers as well as our Macs Adventures contact jumped right on it, offering us an immediate solution, and then following up to make sure it was settled. Within 20 minutes, the lodging arrangements were taken care of, and we were offered champagne for our troubles. This as much as anything else made me confident in booking a future trip with MA; it was great to see them in action fixing a problem! We thoroughly enjoyed our walking experience in the Loire Valley. Despite the fact that our walking around Chenoncaux was restricted due to flooding, alternatives were provided and we were never wondering what to do next. The accommodations were excellent - warm, welcoming and personal. And wonderful breakfasts, especially at Vouvray. We had great support from Sarah in the UK, and Sarah in France at all hours, as arrangements needed to be changed because of flooding difficulties, which was much appreciated. We look forward to further MACS Adventure walks. On this, our sixth walking holiday (four in Great Britain, one in Ireland, and this first outing in France), we expected, and experienced, very leisurely, untaxing walking (moderate distances, flat terrain, a lot of paved, broad bike paths). We expected, and experienced, the customary excellent support from Macs. And we enjoyed really superb accommodations-very, very good in Chenonceau, and among the best we have ever experienced in Amboise and Vouvray: spacious, well designed, excellent advice and guidance from proprietors about where to dine and navigating locally, and truly generous and delicious breakfasts. We would recommend adding more walking around Chenonceau, including the path across Le Cher to see the chateau from the other side; easy to accommodate alongside a long visit to the magnificent chateau itself, and the recommended walk in the hills above town. The walk to Amboise along Le Cher and up through the woods was beautiful, even if a bit tedious on the outskirts of the town; but the medieval center is great, and the B&B, a couple of blocks off the busy rue Nationale, was perfect, and very accessible to the chateau, restaurants, etc. Note that our visit, in the 12-18 October week, is clearly in a shoulder season, and particularly in Amboise, several restaurants, bakers, etc., were on vacation; they earned it, but you might find your choices a bit limited then. The GR3 trail directions for navigating the walk to Vouvray are very detailed, but not always correct; it is quite possible simply to ignore them, pick up the trial from the Amboise visitor center, and follow the EXCELLENT way marking, including the brilliant "X" indicating when you have gone off path. An easy walk; on the day we did it, the vineyards were beautiful in fall color, but rain and English-style mist cut down on our valley views from the ridge line. Vouvray accommodations were outstanding, and near incredibly appealing baker, butcher, florist, and produce grocer, if you plan to stay in town or picnic. We fit in the walk over the hills, without stopping at vineyards, and instead, as planned, hired a taxi to the Ste. Pierre des Corps rail junction (about 25 E for taxi), and took the train to Blois for the day; an outstanding side visit. In all, a relaxed, very pleasant trip to beautiful countryside, villages, and chateaux, and for us a superb introduction to the Loire, appended to a weekend in Paris--an easy train ride away. Thank you, Macs, including very attentive service from our representative for this booking. 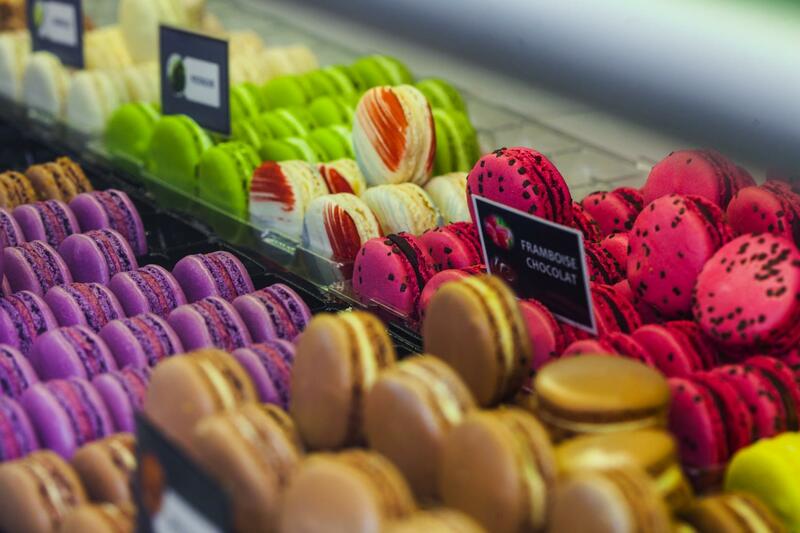 If you are looking for a tour that is rated easy to moderate, explores the Loire Valley with its world-famous chateaux and vineyards, whilst staying in quaint and charming B&B’s, then this self-guided walking tour is for you.